Way back in September, what already feels like a lifetime ago, I chaired the historical fiction panel at Triskele LitFest. We had a lot of fun on the day. I’d like to think that was at least in part due to the preparation I put in, but it was probably down to the fantastic line-up! Of course, those aren’t my words. I borrowed them from The brilliant Teleportation Accident by Ned Beauman. I hoped that the panelists would provide me with some answers. I’d had the pleasure of reading all four novels which demonstrated the wealth and variety that falls under the historical fiction banner. Jane Dixon-Smith is the author of the HNS Indie Award 2016 finalist Tristan and Iseult and The Overlord series, comprising The Rise of Zenobia, The Fate of an Emperor and The Better of Two Men. 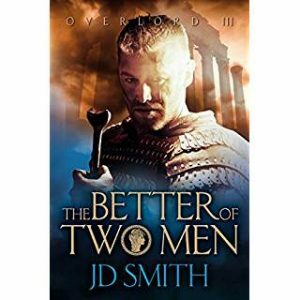 With The Better of Two Men, Jane Dixon-Smith took us the furthest back in time to Syria in the 3rd Century AD. Her narrator is a warrior, Zabdas, who has grown up in the household of Zenobia, Queen of the Sands. It’s a stunning story of revenge, power struggles and political play. In fact, in many ways, it feels like a very modern story, which is of course the litmus test for a good historical novel. Orna Ross writes novels, poems and the Go Creative! books and is Director of the Alliance of Independent Authors. Her Secret Rose is the first of her trilogy about the poet WB Yeats. It’s a novel of secrets and intrigue, passion and politics, mystery and magic, that brings to life 1890’s Dublin, London and Paris – not to mention its two fascinating characters, the poet Willie Yeats and the woman he was in love with, Maud Gonne. Radhika Swarup spent a nomadic childhood in India, Italy, Qatar, Pakistan, Romania and England, which gave her a keen sense for the dispossessed. In Where the River Parts, Radhika lets us experience the Partition of India and Pakistan in 1947 through the eyes of her main character, a young Hindu woman called Asha, who is deeply and secretly in love with the brother of her Muslim best friend. Partition is such a huge subject – it was the biggest displacement of people in human history. For me this novel does exactly what great historical fiction should do, which is make big issues accessible by showing them to us through the eyes of just one person. 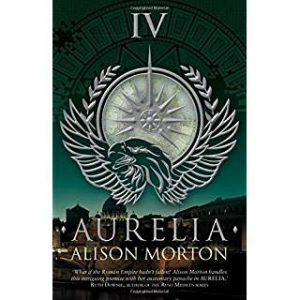 Alison Morton’s Aurelia took us to an alternative 1960s, at once both familiar and utterly different. Alison writes Roman-themed alternative history thrillers with strong heroines. Three of the series, Successio, Aurelia and Insurrectio, have been selected as Historical Novel Society’s Indie Editor’s Choices. Aurelia was a finalist for the prestigious HNS Indie Award for 2016. It was my job to come up with the questions! You can see how I got on, or read the transcript below. 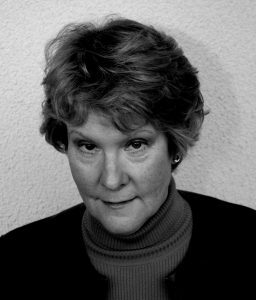 Orna: The value of historical fiction is that you get events through the lens of one person and that, to me, is far more truthful than purported facts told through purported objectivity in history books. It’s all about telling it through a slant, through a viewpoint, through a voice, through a particular set of experiences that reveal the whole. The more particular you get, strangely and paradoxically, the more universal the story becomes. Radhika: History is so often about conflicts, your truth and my truth, and somewhere in the middle lies the real truth. I think what a fiction writer is allowed to do is step into inside, to inhabit my skin, to inhabit your skin, and to discover some sort of truth that feels authentic. Jane D-S: I think of history as more of a backdrop and a skeleton for building characters who may or may not have lived. Alison: In English we say ‘history’ and ‘stories’. In most other European countries, the word is the same, so we have a very strong idea in Europe that stories can be history or history can just be stories. As a Roman writer, how much credence can I give to somebody who’s putting propaganda about on behalf of their emperor or who’s telling the dirty secret history of that emperor’s reign? As to what individuals during ancient times thought, I think they’re people like us. So I’m very conflicted on what history is. Orna: It’s very interesting that it’s his-tory. So often history is written by men and considered to be the truth, while historical fiction is far more often written by women and is considered to be something less than the truth. Chair: It’s interesting that several of you have mentioned truth because my next question is, as authors, do you think that introducing a few historical inaccuracies is justified to ensure the plot contains sufficient twists and turns to satisfy the reader? Jane D-S: There is very little actually written about Zenobia, which is why she intrigues me so much, but I changed a few dates around where I thought, ‘They must have got that wrong’. Especially when you’re talking about Roman history, it’s written by the victors, so it’s one-sided, all the time. Alison: Yes, history is only one person’s slant on that particular story. I’m with you about changing things. Orna: I think it depends on the book. My first novel was about the Irish Civil War which is a great big lacuna of silence. It didn’t happen in Ireland. They skipped straight from 1916 and the War of Independence, and then ten years are missed out because they would rather not remember what happened, so you have to make things up. But with Her Secret Rose, because it’s relatively recent, because the descendants are still alive and very well-known in Ireland, I felt a real obligation, and also because Yeats and Gonne documented their lives. There were letters, diaries, articles and their own books. I was into this horrible thing of trying to fit the story into what was already extremely well-documented and it took me forever because the story wants to have a story rhythm with little pay-offs and turning points. I’m never doing anything like that again! Radhika: Like you, the subject matter I cover took place relatively recently – in 1947 in India – so there was little leeway for me to play around with facts. With the geography, I did change the location of my fictitious town but otherwise with a book like mine you have to make it believable because there are so many people around who have lived through that period, or who know people who have lived through that period. Chair: So I think we’re saying that, with more recent history, we have less flexibility. I’m interested in why each of you chose to bring your particular story from the past into the present day. Alison, can I come to you first? Alison: Why Rome? Well I’ve been fascinated since I was eleven years old and walked on my first mosaic pavement. I wanted to know who the people were, what they did, everything, so my father told me they were senators, traders and scoundrels and soldiers – the Rome we get courtesy of HBO. And I said, ‘Well what did the women do?’ and he said, ‘Oh, they stayed indoors and looked after the children.’ And I thought, ‘Supposing women ran it?’ Shock horror! So that was behind it. It was my purposeful wish to take my fascination with Rome and give it a feminist twist. With the best will in the world you can’t have a lot of feisty misses in Rome, so that’s why it had to be the 21st Century. Chair: Jane, you’ve gone back the furthest in time. Jane D-S: Yes, I’ve gone back to 3rd Century Syria, and I bumped into Zenobia in a book by Antonia Fraser, The Warrior Queens. Zenobia was so like Boudicca. She led one of the most threatening revolts that the Roman Empire ever faced, yet no one had heard of her. Why there weren’t films, why there wasn’t more information out there? That’s why I felt I had a duty to bring her to the fore. Radhika: On my father’s side of the family we come from a Partition family so my grandparents made the journey from what is now Pakistan into Delhi, but growing up I never understood the sacrifices my family had to make. I grew up in a comfortable home, we never wanted for anything. It was only when the exodus of Syria started taking place that I started wondering what the Partition had actually meant for us. I wanted to write a novel that brought out how terrifying the schism was, how quickly it unravelled and how unstoppable it was. Orna: Well, for me, I’m a superfan of Yeats. He’s drummed into every Irish schoolkid and I fell ridiculously in love with his poetry at the age of twelve or so. He was a great PR man. If he was alive now he would definitely be an indie author. He was really good at seeding his work and putting it out there and reaching his readers at a time when it was much more difficult. He mythologised his love for Maud Gonne completely. ‘The last romantic’ was how he defined himself. He was her courtly lover and she was the love of his life: tall, incredibly beautiful and his love was unrequited. No matter how many times he proposed to her, she refused him. He made great poetry from that – that was his story. And then I was researching and I found something that told me that wasn’t true at all. If you actually looked it from Maud Gonne’s perspective and read some of the things she wrote, then some of the other things he wrote couldn’t be true, so looking at it from the woman’s point of view gave me the story that actually needed to be told. Because he said it, everybody accepted it. It made much less of him in a funny way but it really made much less of her. So much of the story is covered up in terms of what went on in their lives. They were hugely into spiritualism and he was a magician – he wanted to be Harry Potter basically. He was as interested in magic as he was in literature, but thought the two were very closely connected. Maud Gonne was an amazing woman in her own right but the picture he put out of her was very one dimensional, when she really was a very multi-faceted character. Then when Yeats was fifty he proposed marriage to her daughter and I wanted to find out how that happened. 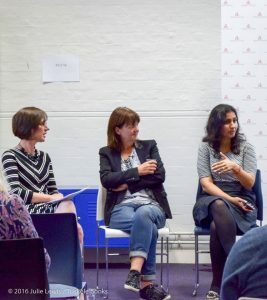 Chair: Actually that leads neatly onto something else I wanted to ask, which is: did any of you unearth something genuinely surprising when carrying out research and, if so, did it change the course of the novel you were writing? Jane D-S: Actually, I don’t think that I did. I found what I thought I would find. I wasn’t disappointed. By the time I was hooked I knew what I needed to know. Radhika: I’ve had some surprises, not in the writing. My protagonist Asha, in the 1940s, falls in love with a Muslim boy and I thought that this was stretching the realms of belief a bit because it was a very conservative country, there were very firmly drawn boundaries between people of different faiths, but I decided it’s a writer’s privilege, you can make a beautiful poignant story. After I had written it, many people have come forward from that region saying, yes, we did love someone from the other religion. Sometimes the love prospered, sometimes it didn’t, but that is what I discovered after the event. Chair: You realised that what you’d written was more relevant and true than you’d thought at the time. Alison: Well, I revisited the late 1960s and like most people who lived through them – what was I? 17? – I thought, ‘I know my life, I’ve lived it.’ You don’t know anything and it was quite scary how much reading I had to do to get the flavour of the late 60s early 70s. That was quite a shock, so never trust your memory. Chair: Before I forget, each of you today has been asked to bring an object that tells us something about your approach to writing, so could you please reveal your objects. Alison: (Holds up a photo of a sword.) This is a Pompeii Gladius which is was standard service issue to most foot soldiers. It has a very plain pattern. Empire went on for four centuries so you can imagine they were churning them out. (Holds up a length of beading). This is the size. We all know that they jabbed and they cut but it also reflects my writing because I aspire to write in a very succinct way and I’m completely pitiless about my approach to my first draft. That (she slices the air) is what I do to my writing. Jane D-S: I have actually brought a book. (Holds up a copy of Palmyra and Its Empire.) This is my absolute bible for writing about Zenobia because Richard Stoneman is one of the few authors who has written an entire book about what is normally a small passage in someone else’s book. Since I bought this ten years ago and started on my journey of writing about Zenobia a few others have been written but this is still the best. It is also the only book I have ever defaced. It’s highlighted. This is awful. I’ve written on the maps. I’ve had to buy a second copy because I felt so bad about it. Chair: I deface every book I read! Radhika: I do too. Margin notes. OK, so this is a method I use. (Holds up bracelet with red stone). I wake up early in the morning before my kids are up, that’s when I write. And I don’t take a watch in with me and I don’t take a phone because I don’t want any distractions. What I do is write until the light starts falling on this, and this red stone reflects, and then I know I need to get on with my mothering. I come back when it’s nice and light and quiet and the kids are out, then I write until it starts going dark again, because I can see the change in the colour here. Orna: It’s an index card. 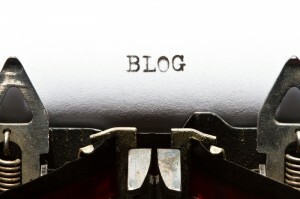 The reason it’s significant for me is because I spent a long time trying to write fiction. It wasn’t until somebody introduced me to the system of not beginning to write the novel until you have it on index cards and know at least three quarters of what’s going to happen. One sentence on the front to say ‘This is what this scene is about’ and on the back, the function it serves in the story, so whether it’s a turning point, at which point it comes. This means that, at the same time, you’re thinking about the content of the story and its function and that’s basically what made me a novelist. Chair: That sounds incredibly disciplined. I’d better not tell you how I go about it. So I wanted to ask you how you go about blending real-life characters with fictional characters. I’m told that the key advantage of including fictional characters in a novel that includes real-life figures is the ability to bump them off without altering history. Would you agree, or do they serve another purpose? Orna, can I come back to you because I know you’ve done this in Her Secret Rose. Orna: Actually, Rosie’s an invented character but she’s based on a real person. Her purpose in the story is not clear at the end of book one, but she was really key to the novel. I tried to tell the story in lots of different ways but because it’s W B Yeats for God’s sake! I just felt it was so cheeky. You know you kind of have sixty-five personalities when you’re writing a book and the one who was in awe of W B Yeats was intimidated until I got Rosie’s voice. I based her on the letters of a woman who was imprisoned with Maud Gonne for her revolutionary activities. Her irreverent thoughts, the way that she spoke, allowed me to say what I liked. Radhika: My main characters are all invented and I think they are so key because it allows you to paint such big key events in Indian and Pakistan history from an intimacy. There’s no other way to take that canvas and reduce it. Jane D-S: My narrator was initially fictional until I realised after the first draft of book one that he could actually be a character who existed, so I changed his name to Zabdas, tweaked him a bit, and then carried on from there. He is actually meant to be Zenobia’s half-brother in the books, but he wasn’t Zenobia’s half-brother as far as we know. I invented another character, a girl, and she goes on to be the daughter of a great general and it’s quite catalytic for later on in the series. Chair: One of the interesting things about writing historical fiction is that, if the reader has knowledge of the era, they have the benefit of hindsight, while the characters in the book don’t. How do you use this to your advantage? You’re nodding, Radhika. Radhika: Yes, I’m the third generation of people who experienced the Partition in the 1940s and 1950s. A lot of my research comes from accounts from family members who are approaching their nineties now, so I don’t know to what extent they remember, what vividness they remember with, but also through archives, through third party accounts. My recall will be more limited that theirs. What I have is evidence from afterwards, whether Partition was justified or not, so while I will never have the immediacy of people who lived through Partition, I have the benefit of hindsight. Jane D-S: Not a lot of people know about Zenobia so I tend to find that people pick up the books look on-line to see if she was real and are surprised. Not a lot of people believed at the time of reading that she was. Alison: A lot of people discover history that way. It can sometimes spark interest. Mine is alternate history, which means that I have brought a Roman society up to the 21st Century. I try to keep it very Roman in terms of culture and values and that’s their mind-set and that’s the way they live, but I have had readers come back to me and say, ‘Well, I knew it wasn’t Rome in Roman times but it’s actually made me go back and re-look at Rome.’ One has gone back to study history and one has gone on to study Latin. And I’ve had what we call the bash and clash boys of Roman history world, mentioning no names, say that my books on Roma Nova give a different perspective on what women actually do in the ancient world. In a way, although they’re thrillers, and they offer a twist on history, they have increased interest in history, so that’s a result. 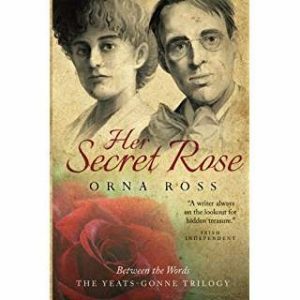 Chair: Yes, Orna, I must admit that before reading Her Secret Rose, I didn’t know very much about the life of Willie Yeats before, but I have actually looked into it since. Orna: And I think that’s very gratifying. When you’re that interested you do want other people to share your interest, but I wish I had thought about your question before I wrote these books because writing about someone who ‘s as loved and revered as W B Yeats is actually dangerous. That’s the only way I can describe it. I’ve had hate mail. I stepped into a nest of academics at Sligo summer school where people where people are completely outraged. They own Yeats. The society and the academics in particular definitely didn’t like my take on him. Chair: I was criticised for a historical novel I wrote where I allowed a main character to leave her son without showing enough regret, the difficulty being that it was out of step with the modern mind-set. Today we expect a mother to put her child before partners, husbands, etc. I wonder how you perceive the temptation to superimpose contemporary values on historical characters. Alison: One thing if you’re writing a pure historical novel is to read the letters and diaries of people, not the historical account, but what people actually did. I would always go to a source if I could find one about people and their lives. Chair: Letters and diaries were your source material, Orna. Orna: A lot of private writing that has only recently become public and a lot of writing that only came out of copyright. It’s just seventy years gone, so I was able to use it. Chair: Radhika, you had a lot of verbal histories passed down. Radhika: And that helped, but I did struggle when I came to the writing that my protagonist is, for her generation, an extremely feisty woman. She finds her lover, she finds her husband, she chooses for herself, but she still has constraints placed on her by societal conventions, by her times. So she has to be courted, she has to be proposed to. In fact, she doesn’t have to be proposed to. Her father has to be approached by her suitor. So those sort of things I knew those conventions would have to be followed in the novel, but I struggled with them because those sort of things would not happen today. Jane D-S: Fortunately writing Roman history, it’s turned on its head from a female point of view. I had the advantage of Zenobia doing things we would want women to do today. She was already married at fourteen, which was the only bit I had a few readers come back to me and say ‘How could she be married at fourteen? It was too young.’ Of course, it wasn’t for the time, but she wasn’t a stay-at-home wife. She rode with the men, she did all of those things that appeals to readers these days. I didn’t have any trouble trying to pull the story into the modern. It already felt modern anyway. Alison: It begs the question, were there more women like her? Orna: When I went back to the writings of women in Ireland in the 1910s and 1920s, when I read those women’s’ letters I felt like I was meeting myself and my friends on the page. The documents, the books and the letters were so moving I actually broke down one day in the library, because I realised that they had written and done exactly the kind of work that we were doing in the 1970s and 80s, then it had gone onto a shelf and no one had looked at it for fifty years. Our generation had to come along as if they had never existed, as if their work had not been done. They were completely and utterly written out of the record. The feminists of our time have reclaimed their work and put it out there, and we hear much more and even now you get popular movies about suffragism and so on. But we have this idea that women’s advancement is up, up, up, that leads to today when we are supposedly equal. Actually, if you look back you’ll see it’s more up and down; it rises but it’s suppressed. I’m hoping that digital and what we have now in terms of communication will put an end to that. It happens too in social history, class history, the same fight has to be fought again, the same education has to be handed on. It would be great if we could keep our history. The winners know how important history is. They always know to take it and to write it. Yeats knew. He knew what to say and to put it out there, but we don’t always have the power to do that. Alison: Even when putting women in men’s roles, you still have to keep to a convention. Like with Zenobia, there are some things she couldn’t do and some things she could do but didn’t want to do. You have to keep within the convention of your story which is another restraint in a way. Chair: I want to ask about the language in a novel. Sometimes if you use the language of the day it doesn’t give the right feel for the book, so how do you strike a balance? Jane D-S: I try to write quite properly, so I deliberately take out contractions. I only have certain characters who use them and I try not to use modern words. For a while I watched the series Spartacus on television. They invented their very own unique way for the characters to talk. It takes a little while to get used to but I find myself sliding into it after I’d watched episodes and had to pull myself back out. Even that wasn’t a really Roman way of talking, but to invent your own set of rules is quite a good way of doing it. Alison: It’s sort of a sub-language, Roman, isn’t it? There is a certain set of words and a certain sentence construction. Chair: Alison, you play with sayings that are in use now, but change the references to the religion of the time. Alison: Yes, when people swear they use Roman gods so everyone knows we are in a Roman time. We have little things like ‘Oh, I wouldn’t be in your shoes when the other person finds out,’ I have it, ‘I wouldn’t be in your sandals’ and we don’t have chocolate digestives in the police tuck room, we have honey cake, because Roman’s were big on honey. That’s more a case of adding local colour, but I’m with you on the language. In my earlier books I have an American who doesn’t know she has a Roman heritage, so I spent time with American students at the University of Kent, going through the manuscripts, because American is a different language and as a linguist I’m keen to get it right. We are our language. You can tell everybody’s personal history by listening to how they talk. Chair: Orna, you’ve talked about finding the right voice to tell your story. Orna: I think until you find the language, which includes how the narrator speaks, you can’t find the book. They’re so interconnected, you can’t pull them apart. I thinks that true of any genre, but it’s certainly true of historical fiction. It is fictional in that the language you use is not the language they used then. It isn’t of the time, but it needs to feel enough that it is for people to buy into something that is identifiably different. Alison: I think we’re looking at authenticity rather than accuracy. Radhika: Like, Orna, I struggled to find my voice. I knew for about a year that I was going to write a novel about the Partition. The setting was there. Aisha my protagonist’s voice did not speak to me so I had to let the whole setting percolate for about a year, and it took a year before she walked into my mind. Then from there to trot out the first draft (which was very flawed) took just two months from her walking into my head. Once you have that credible voice then you know what you have to say. The story pretty much writes itself. Chair: You mention setting. You might be writing about a geographical area that the reader knows well, but you’re trying to redraw boundaries that have since been erased, or you may have superimposed fictional boundaries on an area that you know. Do you have a technique for keeping track of your fictional canvas? I’d like to come to Radhika first because the essence of Where the River Parts is all about the impact of redrawing boundaries. Radhika: Absolutely. Obviously I knew the post-Partition boundary. It was very important to me to uncover the pre-Partition boundary between Indian Punjab and Pakistan Punjab. That took a bit of excavation. I had to talk to family members, do a lot of research to find out what was where. My little town, my fictional town, moved from where my grandparents grew up, so it’s near a river, it’s a different location. I have played with physical boundaries, yes, but boundaries between countries have changed, and it takes a lot of imagination and research to uncover them. Chair: Jane, you’ve got your book with your maps and you’ve highlighted them all. Jane D-S: It’s the name changes that prove awkward, but then I didn’t need to know the current boundaries at all. I just went back and looked at the old boundaries. Chair: A lot of Jane’s book takes you on an epic journey across the desert landscape. Alison: There’s a very useful tool from Stanford University called Travel in Roman Times. Jane D-S: I’ve come across that since. Too late! Alison: You can put in horses, carts, imperial courier, ships, and it tells you and it’s absolutely fantastic. I basically pinched Slovenia for Rome in Roma Nova because it has mountains and it has valleys and it has rivers and it’s in central Europe, wherever that is. But I had a real conundrum and I really had to sweat this one out. I was asked to join a collaborative venture called 1066 Upside Down and they ask the question, Could we have changed the Norman Conquest? Now I had to imagine what Northern France looked like six centuries after the Roman withdrawal, so the Roma Nova is going to call the Seine by its Roman name, and trying to get that across to the reader. Trying to imagine Boulogne, which was the headquarters of the classicists, would have looked like as a massive port. Now it’s a one horse town with a silted up creek. And the Seine valley is not built up. It has woods, fields. You have to project yourself back into what the 11th Century would look like, and that sort of setting is very very hard. Chair: So do you have a map on the wall? Sadly, we will never know. Before Alison could answer, we ran out of time! I ended on a very quick round up. Whether you agree that ‘The past is a foreign country; they do things differently there’ or if you’re on Maggie O’Farrell’s side when she said that , ‘The way I see it, the past and the present are not separate. The present is the past amended’, what’s very clear to me is the vast range of fiction that falls under the historical fiction genre. There were so many more questions I would have liked to ask. “Absence of evidence is not evidence of absence”. How do you deal with this quandary when carrying out research? How you deal with the responsibility that comes with writing about real-life characters and real events? The trick in writing historical fiction is transporting readers to another time and place without overloading them with historical information. So how much detail is too much? In a secular age, how easy or difficult is it understanding the power of belief systems and religions and their role in understanding your central characters? And I didn’t have time to quiz Alison on the concept of alternative history!